There was once a noble idea, from which two unique and desirable products sprung. A blended whisky, which probably only a select few of you will ever have, and a book, which you can have tomorrow. 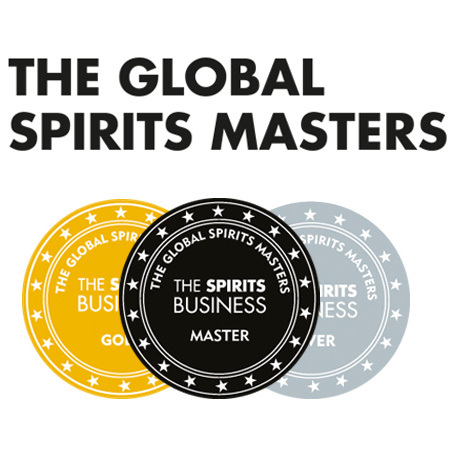 The whisky was blended from Michael Jackson’s private collection of 1,000 opened bottles by Whisky Magazine and a company called Berry Bros & Rudd, a specialist wine merchant and an independent spirits bottler. This was done in agreement with Michael’s family. The whisky was launched at Whisky Live in London in February, retailing for just under £70, and is now sold-out (1,000 bottles were made). On the Berry Bros & Rudd’s website we read that “a proportion of the proceeds will go to the Parkinson’s Society”. This is one unique whisky, no doubt about that, which will never be repeated. 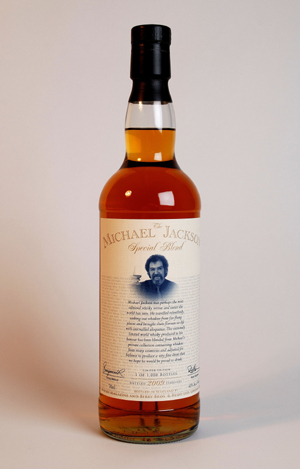 Each bottle of Michael Jackson Blend carries a tangible piece of the history of the Scotch whisky inside it. Should Michael be considered the Tommy Dewar or the Aeneas Coffey of our times by the future generations, a bottle of whisky created from his personal stocks will be worth a fortune and in the hearts of many, without a doubt, it will indeed be priceless. Doug McIvor, Berry Bros & Rudd’s spirits manager and the man behind this blend (Keeper of the Quaich since 2000, formerly writing for Whisky Magazine) surely must have known this before he even touched the first sample. When asked whether the collection was bought by the company or donated by the family, he said that the “bottles were difficult to place a commercial value on”. I bet they were. 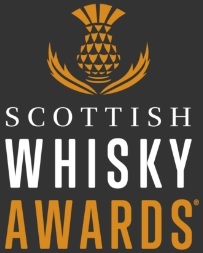 But somehow Whisky Magazine and Berry Bros & Rudd managed to do it in the end, didn’t they? No less and no more than £70 and a piece of history could have been yours for drinking. Questions arise. Was there a better way of utilising the collection? Opened bottles and samples can’t be stored for a very long time as they evaporate and/or oxidise slowly. This must have been the driving factor behind the idea. But why 1,000 bottles? Why not 10 or 10,000? Since the blend was dressed with Berry Bros & Rudd’s stock anyway, the level of dilution did not matter any more. And why £70? Why not £7 or £700? Maybe all the whisky created should have been auctioned and then all, as opposed to “a proportion” of the proceeds given to the Parkinson’s Disease Society? When a company makes a profit of even one penny on an item of heritage value, it is hard for me to believe that they did not compromise and that the profit did not come at an expense to all of us. What is more, when something is sold under the banner of charity work, the financial clarity of the venture must be no less than absolute. Stephen Beaumont, Julie Bradford, Dave Broom, Ian Buxton, John Hansell, Charles MacLean, Hans Offringa, F Paul Pacult, Roger Protz, Lucy Saunders, Conrad Seidl and Gavin D Smith. They all contributed essays that were put together by Ian Buxton and published by Classic Expressions… actually I think it is best if I let Ian Buxton speak about it all through the final words of his introduction to the book. It truly captures the essence of this undertaking. “All of the writers, and Gill Allan our jacket designer, contributed their work free of charge and we have received generous sponsorship from Chivas Brothers’ The Glenlivet to offset the cost of production. My colleague Neil Wilson at Classic Expressions took on the onerous responsibility of publisher with considerable grace, especially considering that I ‘volunteered’ him for this role. “To all of them go my thanks and the gratitude of the Parkinson’s Disease Society of the UK. Michael suffered from the debilitating effects of this dreadful disease with grace and true Yorkshire grit for many years. It is fitting, then, that all profits from the publication of this book will be donated to the Parkinson’s Disease Society of the UK. To this end, I add particular thanks to you, the purchaser, for buying this book. You may never see the good that this has done, but it is appreciated and valued more than you can know. Did you catch the key phrases? Please support the Parkinson’s Disease Society and pay tribute to Michael Jackson by purchasing ‘Beer Hunter, Whisky Chaser’ directly from Classic Expressions (link below). Thank you. 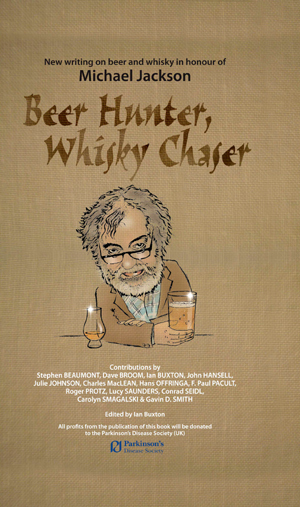 Buy ‘Beer Hunter, Whisky Chaser’ here! This entry was posted	on Friday, April 3rd, 2009 at 8:18 am	and is filed under Musings. You can follow any responses to this entry through the RSS 2.0 feed. Responses are currently closed, but you can trackback from your own site.